According to AAA, teenagers have an 89.2% chance of being involved in a crash during the first three years of driving. That is staggering! So how does DirtFish help your teen driver become safer on the road? A person can lose control of their car for any number of reasons including being distracted, overconfidence, road conditions, or not understanding how a vehicle works. A car can only have as much control as there is grip. 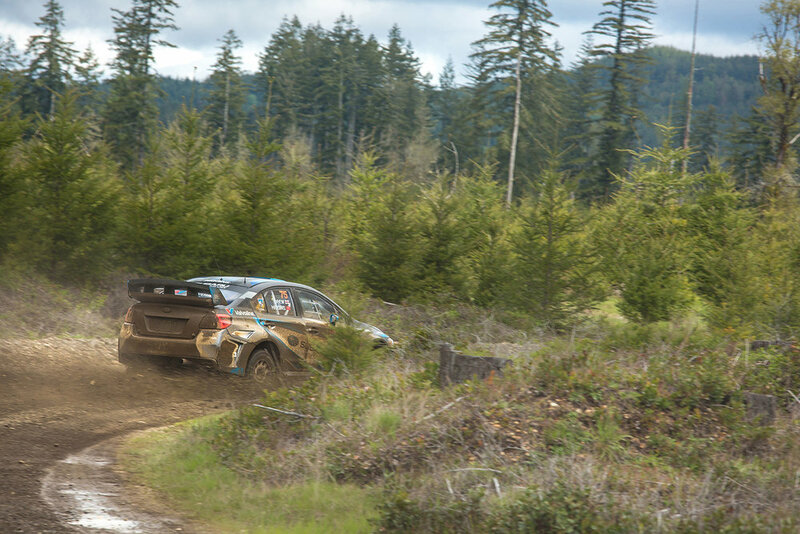 Understanding how that grip is created or lost is fundamental to car control, and it is the basis for rally driving at DirtFish. Grip is translated through a car’s tires. The weight transfer of a vehicle can create an unsafe reduction of grip to those tires, or it can help regain grip. For example, imagine yourself accelerating away from a stoplight aggressively. You feel the car and yourself lean back, right? That is weight transferring to the rear of the vehicle. With more weight over the rear tires, they have more grip. Conversely, the front tires have less weight over them meaning they have less grip. Now imagine trying to turn the car on a slippery surface like snow when all the weight of the vehicle is on the rear tires. It won’t turn very well, and this results in a loss of control. Your tires only have 100% of their grip available to provide you with steering, acceleration, or braking. If you have already used 100% for any one of those inputs, there will be nothing left for the other two. Too much brake, too much throttle, too much steering or any combination of those can dramatically affect your control over the car. Regardless of the surface you are driving on, it is crucial to understand that what you are doing behind the wheel, can affect the weight transfer of the vehicle. Unexpected weight transfers can occur from overreactions caused by being distracted behind the wheel, not looking far enough ahead to scan the road, or simply by overconfidence and going too fast. As an instructor, I find many teens don’t fully understand these physics yet because of their lack of driving experience, playing racing video games, or watching viral YouTube videos, among other things. Even adults with many years of driving can misjudge the staggering affect weight transfer has over a car. 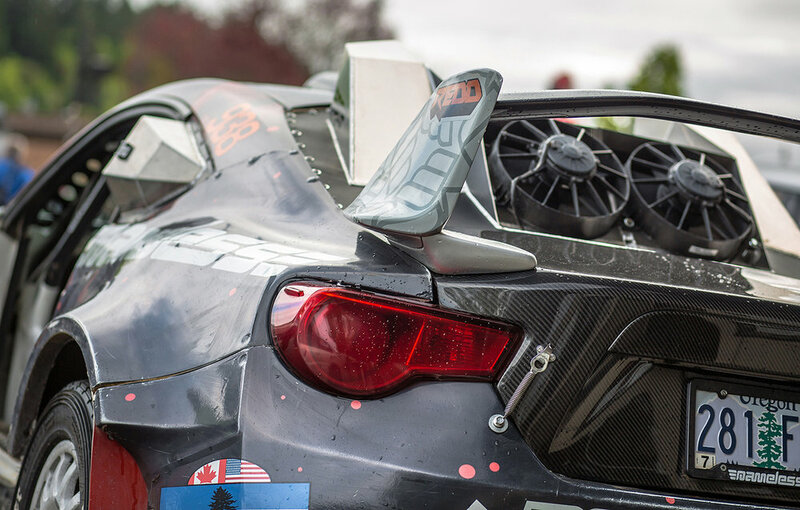 At DirtFish, through the art of weight transfer, we work with our students to understand fundamentally how throttle, brake, and steering inputs mix to achieve the desired result from a car. If you have watched any bit of professional rally racing, you would probably wonder how in control those drivers are sliding like that. 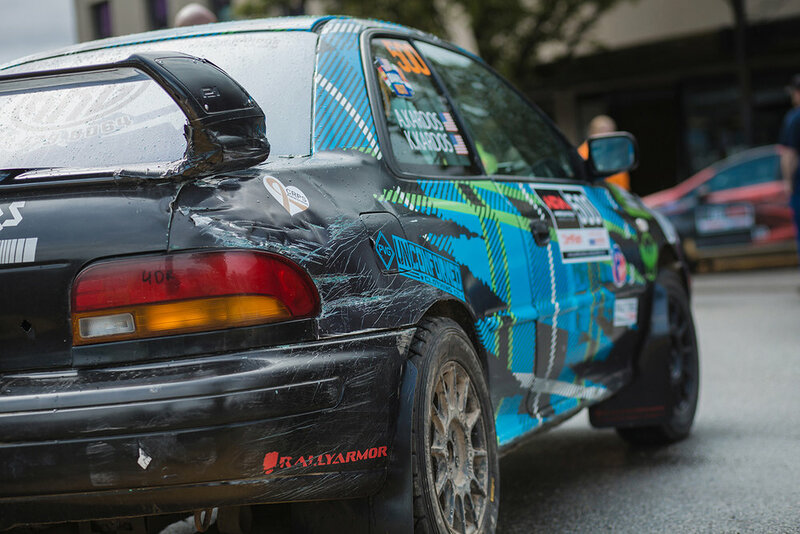 In rally racing, you are at the mercy of the road conditions, understanding how weight transfer causes a loss of control will also help you to know how to regain control. At DirtFish, we have an idea that it is easier to control a slide that you ask for versus trying to control one that has caught you off guard. Remembering that weight transfer of a car vastly affects how the tires grip the road surface, let’s say you purposely throw the car’s weight forward and turn the steering wheel. The front tires gain a lot of the car’s weight, and the rear tires get lighter—meaning the front gets grip and the rear loses grip. This causes the backend of the car to slide out. If you weren’t expecting this, you might panic and flail about, overcorrecting and making the issue worse. Overcorrecting is the number one mistake my students make that causes a spin or a field trip beyond the boundaries of the course. For this example, in a panic, adding more brake input might cause more of the car’s weight to go to the front only provoking the car’s backend to slide out more. One solution to this dilemma might be to add a bit of throttle. Crazy as that may seem, it could help transfer the car’s weight back to the rear, returning grip to the sliding tires. Several factors, including the road conditions and the drivetrain of the car, can affect this delicate balance between these inputs. 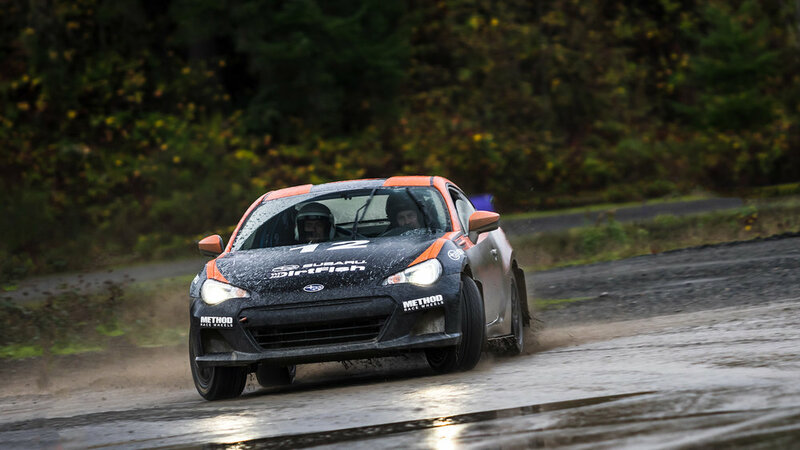 Between the rear-wheel drive Subaru BRZ and the all-wheel drive Subaru WRX STI rally fleet offered at DirtFish, new drivers can experience numerous complex scenarios and learn how to regain control of the car safely. One of your most essential tools to help regain control of a car is almost always the first thing we forget to use- Vision. Teen drivers today have too many distractions readily available to them while they are driving: friends in the car, playing with the apps on the car’s infotainment system or trying to pick the right emoji to send as a text message on their cell phones. Vision is something every single one of my students struggles with, regardless of their experience or age. So it is imperative for new drivers to learn the importance of vision and develop good habits early on in their driving. When they first start, many of my students drive with their eyes looking too closely in front of the car, usually just over the hood. This makes them late to react to upcoming obstacles or overreact to the car’s motion because they aren’t seeing the overall picture. Their spatial awareness suffers, and looking too closely causes target fixation. Humans have evolved to target fixate. If we didn’t want to be eaten by the lion, we would look at the lion to keep track of what it was doing. We do this in cars as well. If the car starts sliding towards a tree, we look at the tree because we don’t want to hit it. Despite our best efforts, most likely we’ll end up driving ourselves right into the tree because that is what we were so focused on. Like a magnet, our bodies naturally and subconsciously drive the car right into it. By teaching our students to use their peripheral vision and continuously scan the terrain ahead rather than where the car is going, they can more easily understand what they need to do to regain control of the car. 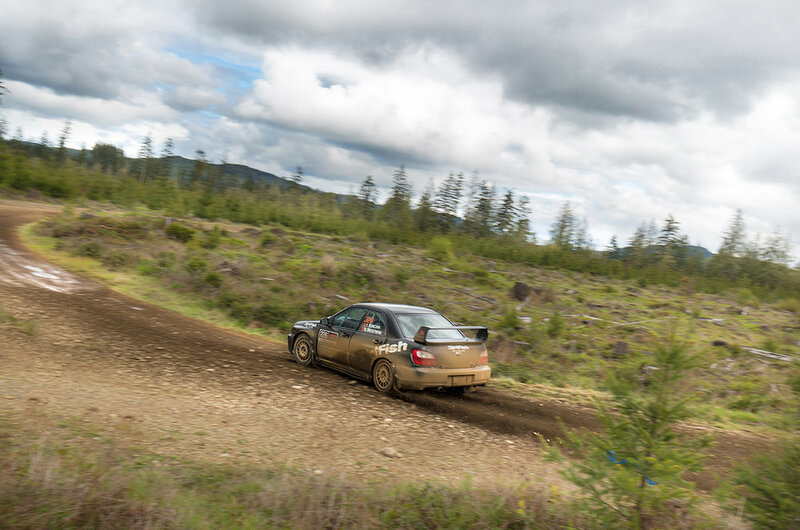 Our rally courses challenge a student’s ability to “read the road” and assess the grip and weight transfer of a car, along with their ability to keep their vision working for them. Understanding how these two factors mix together gives them a much higher chance of regaining control when the car does something unexpectedly in the real world. 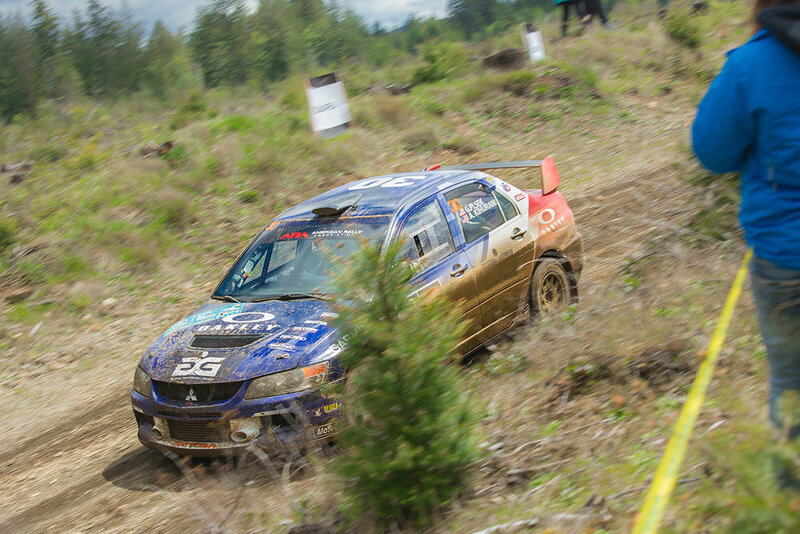 The benefits of learning rally driving goes far beyond driving sideways fast on dirt. This is evident in the number of return students we have each year (38% of our clients come back for more). Many of our students experience those benefits when they go back to their racing and everyday driving. Racers from all disciplines come to DirtFish for cross training. I had a teen driver who raced in Formula Mazda come back for a second program. What was the deciding factor for coming back? During one of his races, it was raining heavily, and the car began to slide on him. He believes he would have ended up in the wall had it not been for his previous rally training at DirtFish. Even my own housemate who has very little interest in cars benefitted from our courses. I remember her coming home one day being quite proud of herself. She said my voice from our DirtFish program had been in her head, reminding her what to do when her car began sliding on a snowy hill in Seattle. Many parents who have completed programs bring their teenagers here to complement Driver’s Education training for those reasons. 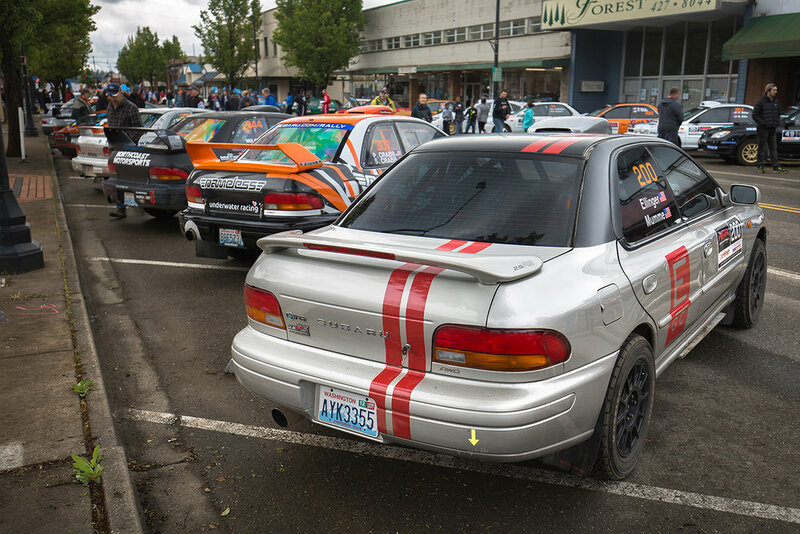 DirtFish is a diverse rally playground. Our courses offer a wide variety of situations and conditions. There is gravel, mud, tarmac, narrow tree-lined roads, and undulations in the surface. 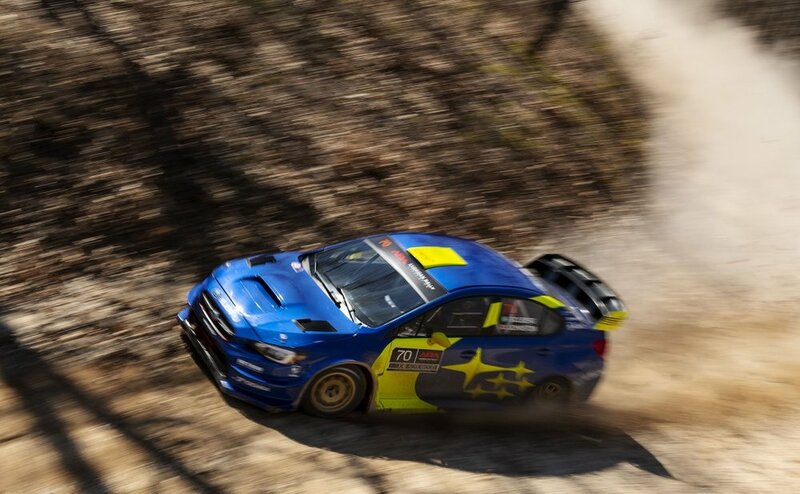 As drivers, we can have the best intentions with our vision and weight transfer; yet rarely do things go exactly as planned in the sport of rally. In the real world, there are even more unpredictable conditions that we confront every day. 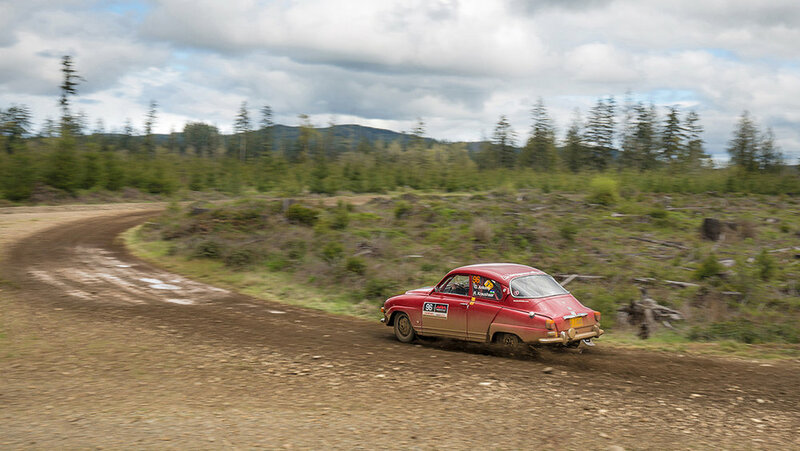 By learning the proper techniques and understanding the physics of car control, DirtFish students gain the confidence to respond correctly when their car acts unexpectedly in real-world conditions. The AAA Foundation for Traffic Safety found that “the three main reasons teens crash include being distracted by something inside or outside of the vehicle, going too fast for road conditions, and lack of scanning the road that is needed to detect and react to hazards.” DirtFish training helps mitigate these risks. EVERY driver will have a better chance of correcting it and keeping themselves safe. If you have any further questions or would like to book a DirtFish Driving Program for your teen, please feel free to give us a call at 866-285-1332 or shoot us an email to info@DirtFish.com. Dirtfish is a very special place. It's like a racing video game world come to life. And most days it's hard to believe that I am lucky enough to call this my work, let alone be an instructor at such a racing school. (All those racing video games that mom said I was wasting my time on growing up finally paid off!) 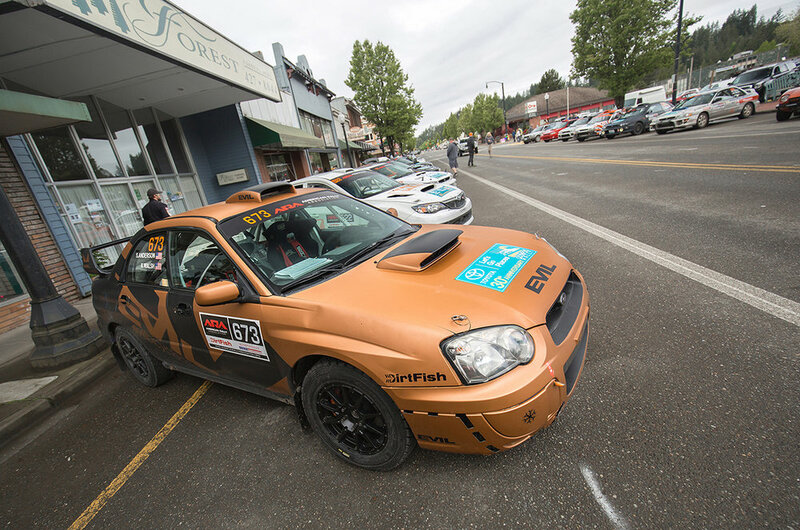 If you've ever wondered about DirtFish, check out DSPORT Magazine's indepth article on one of our longest classes we offer, a three day class where we take you from novice on the skidpad to rally hero (or slightly less novice rally hero) on the full deal 3 mile Mill Run!